Mohamed Noor cannot be compelled to give evidence, the Mayor of Minneapolis confirmed. Police Officer Mohamed Noor, who fatally shot Australian woman Justine Damond in an alley behind her Minneapolis home on Saturday night, has refused to be interviewed by investigators. The Bureau of Criminal Apprehension, the body responsible for investigating the shooting, has confirmed that Noor "has declined to be interviewed by BCA agents at this time". "Officer Noor's attorney did not provide clarification on when, if ever, an interview would be possible." The Mayor of Minneapolis, Betsy Hodges, has expressed her frustration at Officer Noor's refusal to speak. "I wish that he would (provide an interview) because he has a story to tell that no-one else can tell," she said in a joint press conference with the Minneapolis police force on Tuesday night local time. "People have constitutional rights, we cannot compel him to make a statement," Hodges said, adding she shared "the frustration of the community at not knowing things we desperately wish we knew". Mayor Hodges also expressed her "frustration" and "dismay" that the police officers' body cameras weren't switched on when the shooting took place and flagged possible tightening of the Minneapolis police department's regulations regarding the newly-introduced cameras. "Body cameras are a very powerful tool, not an infallible tool, but a powerful one that have proven valuable already in our investigations," she said. The partner of Police Officer Noor, Matthew Harrity, was in the driver's seat of the police squad car when Noor fired across him out the open window, hitting Damond, at around midnight on Saturday. Officer Harrity told BCA investigators he was "startled by a loud sound" in the moments before Officer Noor fired on the unarmed woman. In a statement, the BCA said that immediately after hearing the loud noise -- which is speculated to have been fireworks going off nearby -- Damond approached the driver-side window of the squad car. "Harrity indicated that Officer Noor discharged his weapon, striking Ruszczyk through the open driver's side window," the BCA said in a statement. "The officers immediately exited the squad and provided medical attention until medical personnel arrived. Ruszczyk (Damond) was pronounced dead at the scene." As the first Somali police officer in the fifth precinct, Officer Noor's induction into the force was much-celebrated. But since then, he's had three separate complaints made against him in just two years, according to the ­Office of Police Conduct Review. Two of these complaints remain unsolved. He was also sued by a woman after he and two other officers went to her home on May 25 and took her to hospital, which the woman alleges constituted false imprisonment, assault and battery. An unnamed source with knowledge of Minneapolis law enforcement told Fairfax Media that possible setting off of fireworks could explain why Officer Noor discharged his gun from the passenger seat of the car. In audio of the police officers' radio communications after the shooting, the police officers rushing to the scene are heard discussing "possible aerial fireworks". One of the police officers heading to the shooting reports "two shots heard from the east". 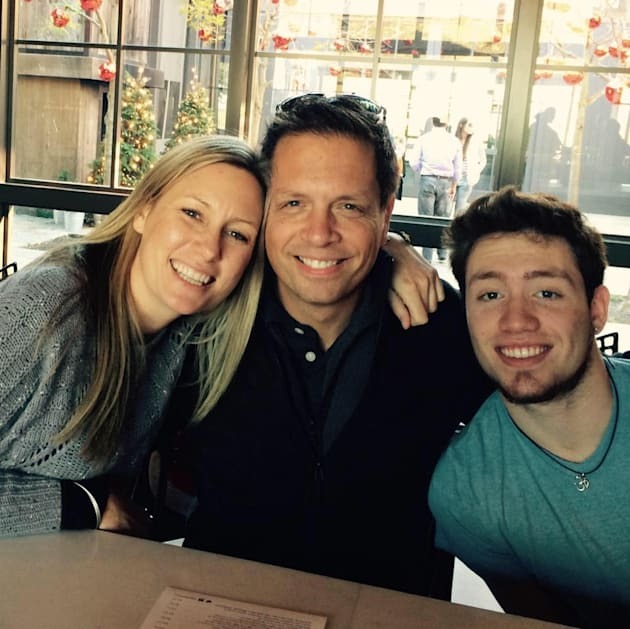 Justine Damond with her fiancé Don and stepson Zach. Another officer radios in to say "those sounds from the station, those are probably aerial fireworks". The BCA's statement outlining the events leading up to Damond's death is the first update from the investigators in three days. It comes as pressure mounts on authorities to explain why an unarmed woman dressed in pajamas was gunned down by police after making an emergency call for help. On Monday, the Hennepin County Medical Examiner ruled the death as homicide, stating that Damond died of a single gunshot wound to the abdomen. Prime Minister Malcolm Turnbull has demanded answers over the killing, which he labelled "inexplicable" and "shocking". "How can a woman out in the street in her pyjamas, seeking assistance from the police, be shot like that?" he asked Channel Seven's Today Show hosts. "We are providing all the support we can. It seems inexplicable, but there will be some answers given in due course. At this point, it is a tragic loss. "Our hearts go out to her family with sorrow and condolence and love." Damond's fiancé Don said on Tuesday he was "desperate" for information, but "sadly, her family and I have been provided with almost no additional information from law enforcement, regarding what happened after police arrived." "Piecing together Justine's last moments before the homicide would be a small comfort as we grieve this tragedy." Damond grew up in Freshwater and attended the nearby selective school, Manly High, before going on the study veterinary science at the University of Sydney. She had uprooted to Minneapolis in 2015 to be with her fiancé Don Damond, whose name she had taken ahead of their scheduled wedding. Long-time friend Kat Kinnie has told Triple M radio that the Sydneysider's biggest fear in moving to America was their gun laws. "She was just so excited to be starting her life with (Don Damond) and to be engaged with him and become part of his family and become a mother to Zach but she was worried about moving to the States and worried about how different things are in comparision to Australia and with the gun laws. "It's a real shame that she has left us in that way."